10 Avatars of Vishnu !!! to him and he decided to find out the meaning and the absolute truth and he left his wife and child to a hermit's life in the forest and one day, became the enlightened one. His preachings spawned off the religion of Buddhism now popular across the whole world. In KALKI Avatar, Lord Vishnu will incarnate himself as KALKI, the machine-man, who will come riding his white horse and with his blazing sword in his hands. This is supposed to be a future avatar of Lord Vishnu. At the end of Kali Yuga (present eon) He will punish all evil doers in this world, destroy this world supposedly and recreate a golden age again. KALKI is the last of the avatars of Lord Vishnu. the ocean using the serpent Vasuki as the rope. At the start, playing a Machiavellian trick, Indra, king of the gods asked the asuras for the head end of vasuki. But asuras suspecting foul play, took the head end, only to be deceived as the poison from Vasuki was slowly weakening them. But as churning was proceeding the mountain was sinking and then Lord Vishnu took the form of the tortoise KURMA and kept the mountain afloat. As soon as the bowl of amrita, the nectar of immortality was out, the asuras grabbed it. Then Lord Vishnu took the form of an apsara, a beautiful maiden, and seduced the asuras into letting her distribute the nectar and also to abide by her order of distribution. As soon as the devatas were served the maiden disappeared thus totally deceiving the asuras and making them totally weak. the fish into a jar of water but the fish started growing and the jar was not big enough for it. Then the king threw it into the river, but it soon it outgrew the river and the king then threw it into Ganges and then into the ocean.The king realised that it was Lord Vishnu himself and then the lord made an appearance and made a special request to the king. It predicted that the world would come to an end by a huge flood in seven days and requested the king to build a huge boat and take the seven sages(hermits), seeds of all plants, one animal of each type and told him that he would appear as a fish to propel the boat to Mt Himavan for surviving the flood to the next yuga(eon). True to his word, after seven days the Lord appeared and the king tied the boat to the fish by using the royal serpent Vasuki and the fish took all of them to Mt Himavan and kept them there till the flood was over and in the new era, the king started procreation a for the new era. In NARASIMHA Avatar, Lord Vishnu incarnates himself as a semi-man,semi-lion in this world. The king of demons(asuras), Hiranyakasyapa, wanted to become immortal and wanted to remain young forever. To this end, he meditated for Lord Brahma and because of his severe penance, the gods were frightened and asked Brahma to pacify the king. Brahma was impressed by his austerity and granted him a wish. HiranyaKasyapa wished that he be neither killed by a man or beast, nor in daylight or at night and neither inside or outside a building. Having obtained the wish he considered himself the supreme God and frobade all worship of gods by anyone. But his son Prahlada, was an ardent devotee of Vishnu. This enraged Hiranyakasyapa very much. He ordered numerous ways to kill Prahlada including asking his sister Holika to sit with Prahlada in the fire. But everytime Prahlada escaped unhurt. Enraged, once he asked Prahlad to show him the Lord Vishnu. Prahlad said, "He is everywhere". Further enraged, Hiranyakasyapa knocked down a pillar, and asked if Lord was present there. Lord Vishnu then emerged as a half lion, half man from the pillar which was neither inside the house nor outside, and the time was evening, neither night nor day. He then killed Hiranyakasyapa thus saving the life of his devotee Prahlada. In PARASURAMA Avatar, Lord Vishnu incarnates himself as a brahmana(priest) in this world. He was brought in this world to avenge all kshatriyas who had become arrogant and were suppressing the brahmans in the world. He was born to Jamadagni and Renuka, and belonged to the Brighu clan. Parashurama was always carrying an axe presented to him by Lord Shiva of whom he was an ardent devotee. Kartavirya a powerful king, once went to Jamadagni's home when he was out, and after a meal, stole the Kamadhenu cow, which was supposed to give endless quantity of milk. Jamadgni was enraged and he went and killed the king and brought Kamadhenu back. On hearing this the son of the king came back and killed Jamdagni.Parasurama was enraged at this and went and avenged the death of his father by killing all kshatriyas in 21 battles. His story is story of the supremacy of brahmans over the kshatriyas. 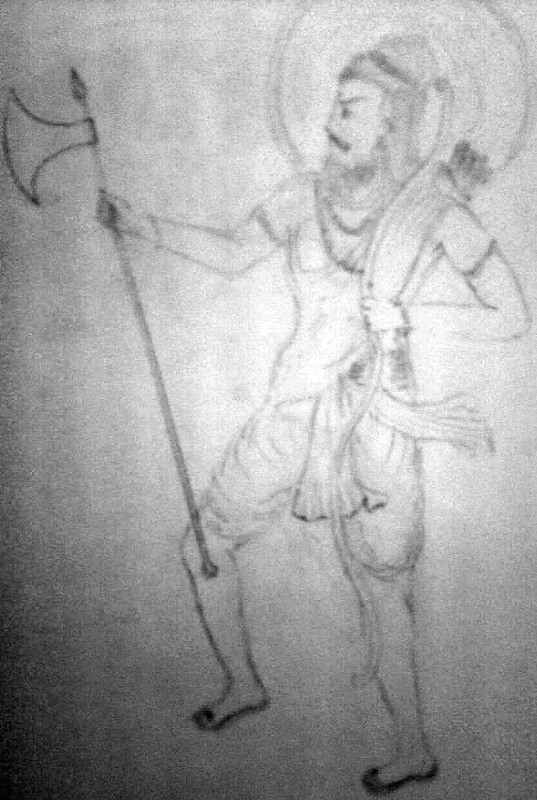 In RAMA Avatar, Lord Vishnu incarnates himself as RAMA , the central character in the epic RAMAYANA. In this biggest epic of Indian mythology a myriad of topics are covered, including war, love, brotherhood,ideal man , son etc. It is essentially the story of an ideal king, son, father and man, RAMA. As an ideal son, he agrees to abide by wishes of his father King Dasaratha to spend 14 years in forest, along with his wife Sita and brother Lakshman. During the course of his stay in forest, the demon Ravana abducts his wife Sita. Ram then sets out in search of his wife. During this he makes friends with king of monkeys Sugreeva, and his devotee Hanuman. In the end he wages a war with Ravana and rescues Sita to return to Ayodhya and rule it as an ideal king for 1000 s of years. In VAMANA Avatar, Lord Vishnu incarnates himself as a dwarf priest in this world. BALI, the grandson of Prahlada was a very valorous and mighty asura. By his penance and might, he conquered the whole world. Indra and other gods fearing that he and asuras would conquer all the three worlds, went to Lord Vishnu for help. Lord Vishnu was then born as a dwarf Vamana in the household of a brahmana(priest). He went to Bali on growing up and asked for alms. Bali was delighted to offer him anything he requested even though his priest warned him that it was Lord Vishnu. he put his third leg on Bali himself and crushed Bali to the nether or the Patala loka(underground world), thus helping the Gods out. In VARAHA Avatar, Lord Vishnu incarnates himself as a boar in this world. 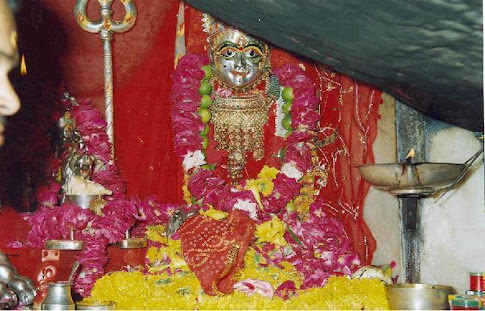 A demon Hiranyaksha, had prayed for Lord Brahma and got awarded a boon that no beast nor man nor god could kill him. But somehow from the list of beasts the name of boar was missing. This proved to be his lacunae. He then started a campaign of plunder across the worlds. He pushed the world to the Pataal loka, or the under of the sea. He stole the Vedas, the holy scriptures from the Lord Brahma, while he was asleep and performed huge atrocities. To retrieve the Vedas and to save the world the Lord Vishnu assumed the role of a boar and brought out the earth from the under of the ocean, using its two tusks. It then killed Hiranyaksha and retrieved the Vedas from the asura and brought it back to the safe custody of the Lord Brahma.